After missing an AZT 300 run this year, I was yearning for some form of nutty ride that would really allow me to push myself. More than two months ago, I began tinkering with the idea of trying to take down a record on the boards. What started out as a joke quickly became a serious endeavor. I chose the date, June 8th, and decided that not even weather would deter me. Easier said than done, right? Highs in the 90s were predicted for the race date. 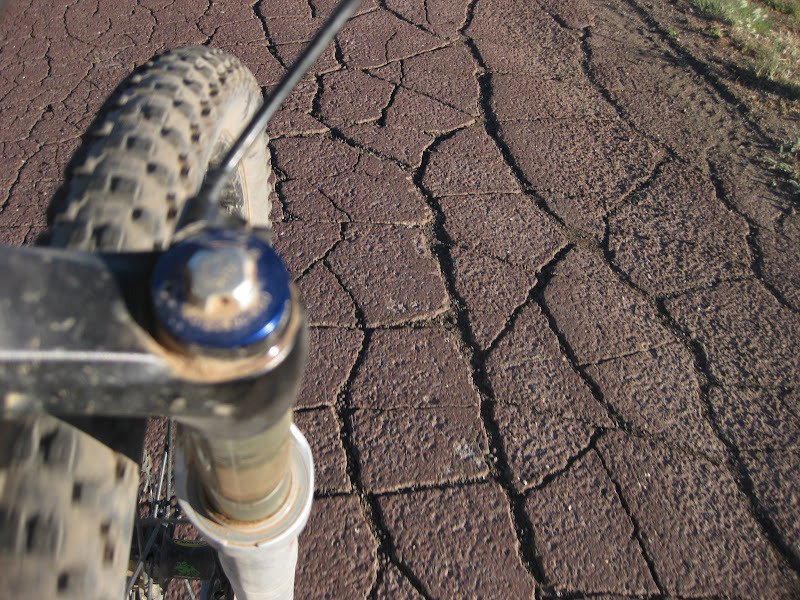 After loading up on two gyros at the Pita Pit in Flagstaff, I set off immediately on classic Arizona singletrack. Some of you might recall that last time we rode this, the Fish and Game Department were putting up fences that blocked the trail. They claimed it was to protect some of the lakes off the trail. 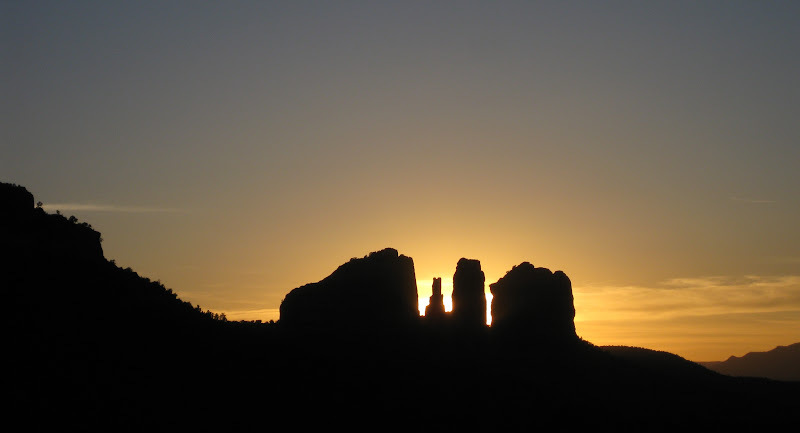 Less than a year later, the Arizona Trail Association has responded by putting in fences. Your donation dollars at work. The heat seemed mild on paper, but when you are "highly motivated" to pedal fast, the heat slowly began to eek its way into the ride. A few ATV riders thought it was a good idea to taunt me while descending near Munds Park. They pulled up, honked, and sped off shooting dirt and small rocks on me. Nice, very nice. As I topped off at the next hill, I saw the same ATV and its drivers. Should I escalate the situation? I did have a water bottle. I imagined myself tossing the HEED water on the crew as I sped by only to be hiding in the woods to escape certain punishment. What to do? I opted for peace. But as I rode by, the continued to taunt me. Moment of truth. Escalate or ignore? I chose to ignore them and do my thing....pedal. Schnebly Hill Vista just above Hot Loop Trail. 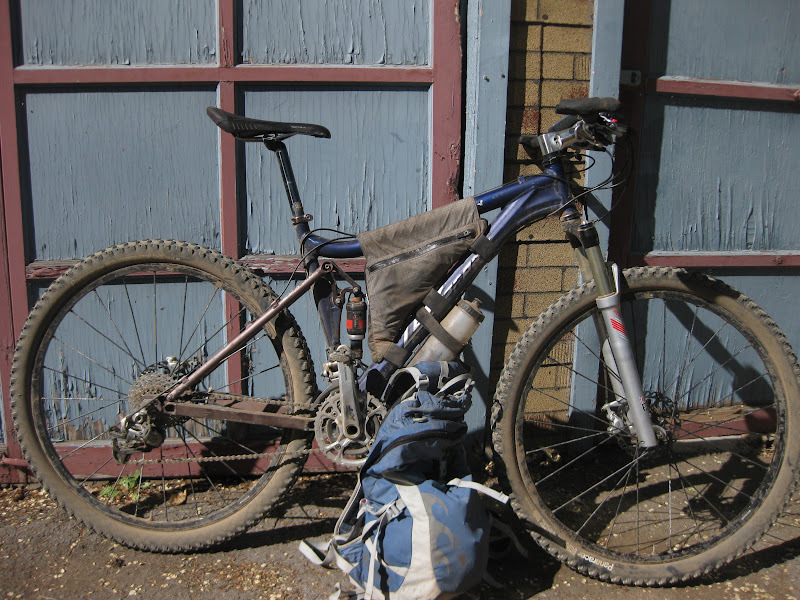 I packed pretty light knowing I could fuel up at Circle K. I spent about 20 minutes fueling up before heading for more singletrack in the form of Broken Arrow and Templeton. Sunsets and sunrises have a special place in my heart, especially when you experience either on the bike. "Just continue to pedal." That was the advice I got from a friend when I began to complain about the heat. At 9pm, I was still sweating. *Giving up* passed through my head several times. This was clearly a low point in the ride; mentally, I had to push forward. Just continue to pedal he said when I had called to check in. Just continue to pedal sank into my head. Well, that's what I did. Lime Kiln came and went. At Dead Horse State Park, I stripped down at one of the canals to bathe. Immediate relief from the heat. I got in my bivvy and slept for about an hour. Just what I needed. I gassed up at the Maverick Station and began the climb up Mingus. About 3am on steep Trail 105a, I came to a complete stop near a step up. Thinking I could clear it, I pulled up haphazardly. As I did, I found myself drifting to the steep, dark edge to my right. I fell about 5 feet down the trail only to be caught by some trees. Not only was the bike on top of me, but my spokes were wrapped around a tree that had been caught. After about 10 minutes, I managed to free the wheel. It was time for a quick break. I decided to wait for some light before continuing up 105. At about 7am, I topped out on top of Mingus. 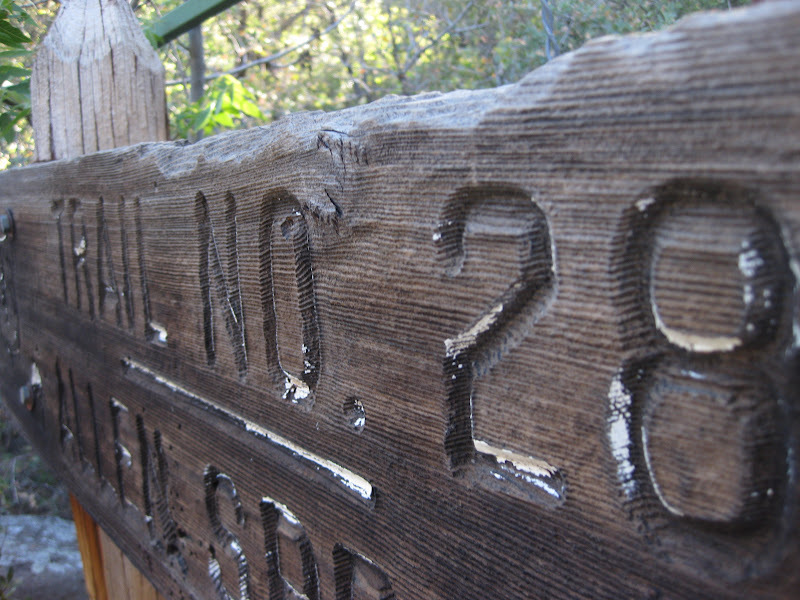 Trail 28 was going to be a highlight for the ride (shown above). I felt confident and cleaned nearly every section, even opting for a few new kickers that they had put in. 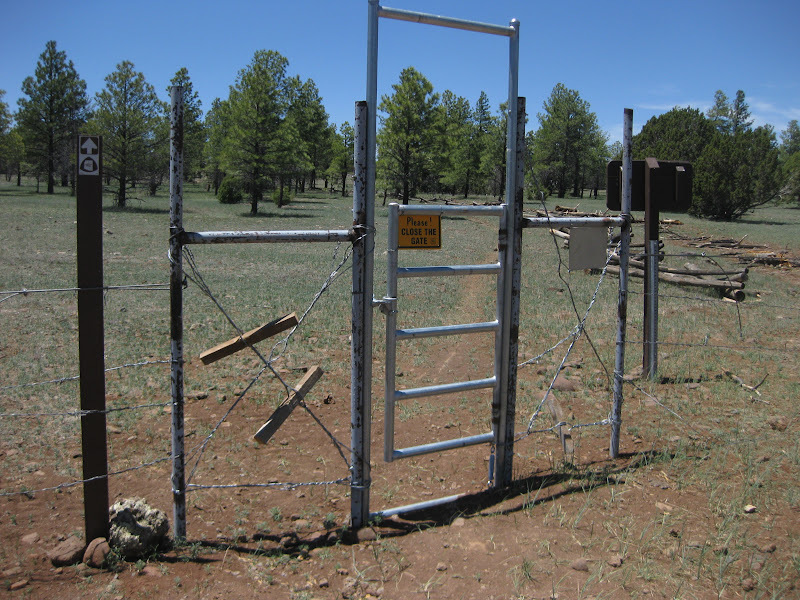 At the private gate to the telephone line/forest service access, I met the property owner. He was impressed with the route and was content to let us use the road (normally, he charges vehicles to use the road). The high at the Verde River was supposed to be 95 degrees that day. Getting water and leaving as fast as possible was the only motivation I really needed. 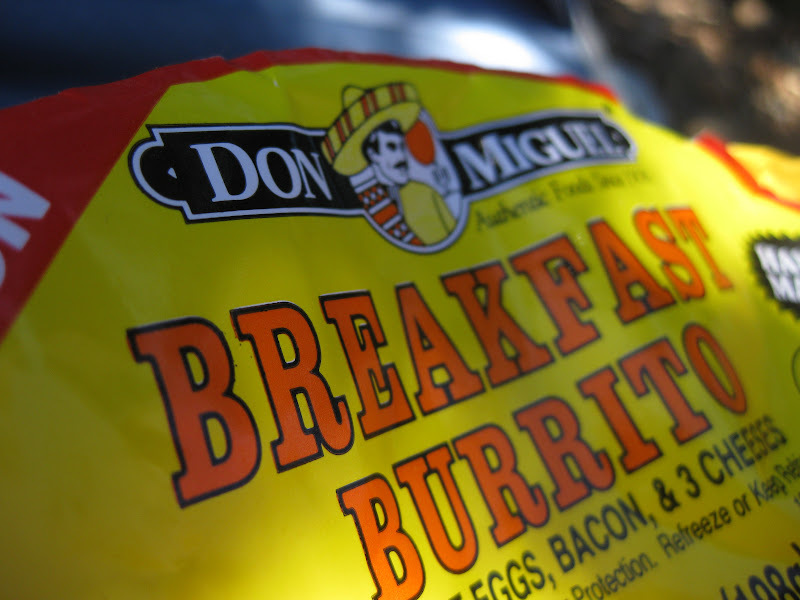 The greatest gas station item ever? Do you have a favorite, click here to add yours. I rested for less than 20 minutes at the Verde (mile 140), barely sufficient to eat, hydrate, and purify water. I rigged a synthetic device to help shade myself from the heat. Additionally, I had some arm coolers that I would soak in water periodically (I carried some water that was not treated for this simple, effective idea). At the beginning of the climb out of the Verde, I was pretty motivated. The heat quickly squelched this motivation. Two cars passed me, both offering some assistance. One asked, "are you doing okay?" It was very slow going. 30 minutes riding, 5 minutes in the shade, wet the arm warmers and hair...repeat. After you veer away from Perkinsville Rd, the chances of seeing anyone is pretty remote. This is the most remote section on the route, in fact. It felt remote and super hot. I needed to hit 7,000 feet to reach some pines (the Verde is about 3,300). As I climbed during the pines, false summits were prolific. More resting. As I climbed Benham last year, I ran out of water. This year was no exception. 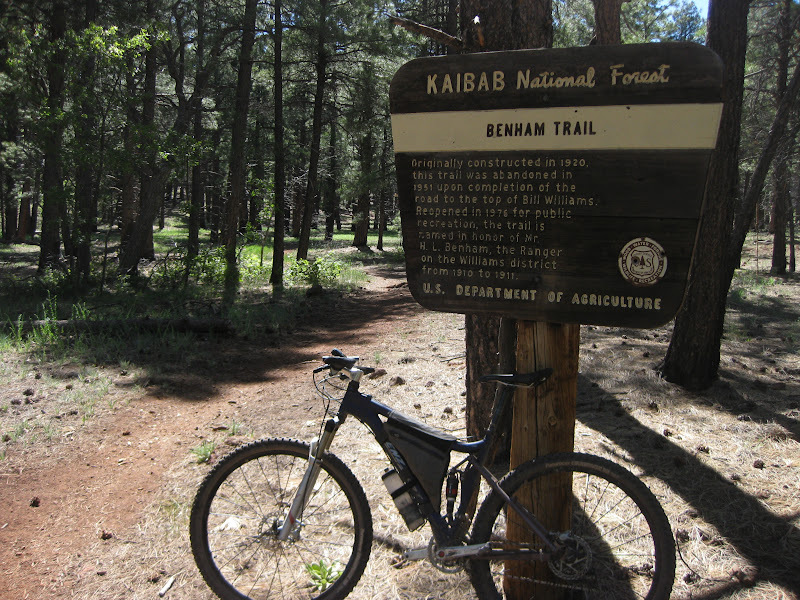 It's a great ride, one of the best in northern Arizona. I was smiling despite my lack of water, counting the switchbacks as I went up. You would have been proud. Despite less than 3 hours of sleep, I was on my A-game. Nonetheless, the trail needs a chainsaw soon. There were about 10-15 downed trees while riding up. Bill Williams was a different story altogether. It had no downfall, just smooth sailing down to Williams. I stopped at Circle K for the normal groceries and headed out of town to get to Sycamore Rim before it got dark. I managed to get about half of Sycamore Rim completed before complete darkness fell over the rocky, technical singletrack. The road around Garland Prairie was pretty. Stars were shining and there was very little traffic. I had to change my batteries after passing the closed Texaco on I-40. 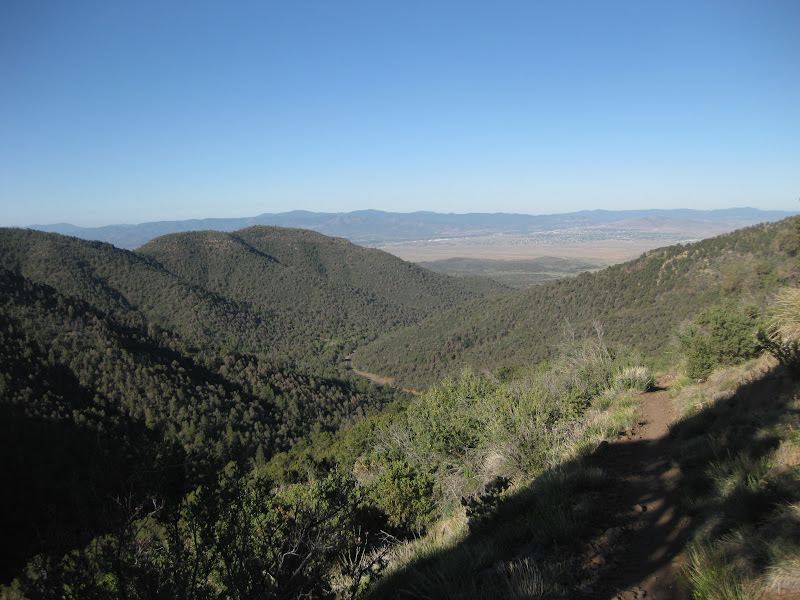 Mentally, the singletrack of Wing Mountain and Elden were the hardest and longest. It would have been easy (very easy in fact) to stop and rest for a few hours. But alas, I wanted a strong finish. A few minutes before 3am, I rolled into Flagstaff to find my car with my pad and sleeping bag. Ahhhhh. I tried to wash off the dirt but opted to just go to bed dirty. The next morning at 8am, I was awakened by Gnome and treated to breakfast by Troy M. It was simply a beautiful morning, made even more beautiful that I was able to ride such a route like the Coconino Loop. Truly remarkable country and trails. 39 hours 1 minute, 241 miles with ~21k of climbing, ~40% singletrack. Thank you to anyone that was watching the SPOT and to Scott for Trackleaders.com support. random food to start out, peanuts, jerky, etc. 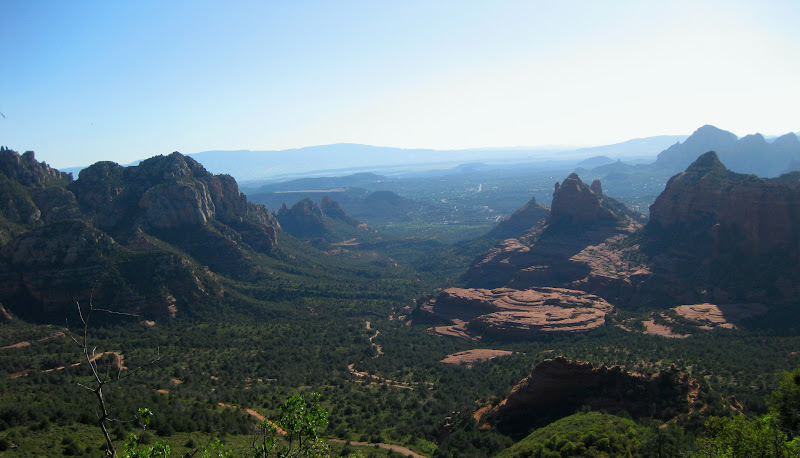 Join us for the next race date, October 9th, 2010 of the Coconino Loop Race. I'm always inspired...the tenacity to finish that strong is powerful stuff. That's a minimal kit, not even a seatbag. And your bike - I recognize it, used to own the back half of it! Got a power file for the ride? Killer ride Chad, way to raise the bar on that super fun loop. Solid, just totally solid. I was very stoked to see you rock this route. Funny about the gates. Remember how I told the crew that the ATA would install gates and the guy insisted the cables were too strong to be cut? Haha. Just keep pedaling! Thanks for the writeup/pics. You motivate me. Nice job!